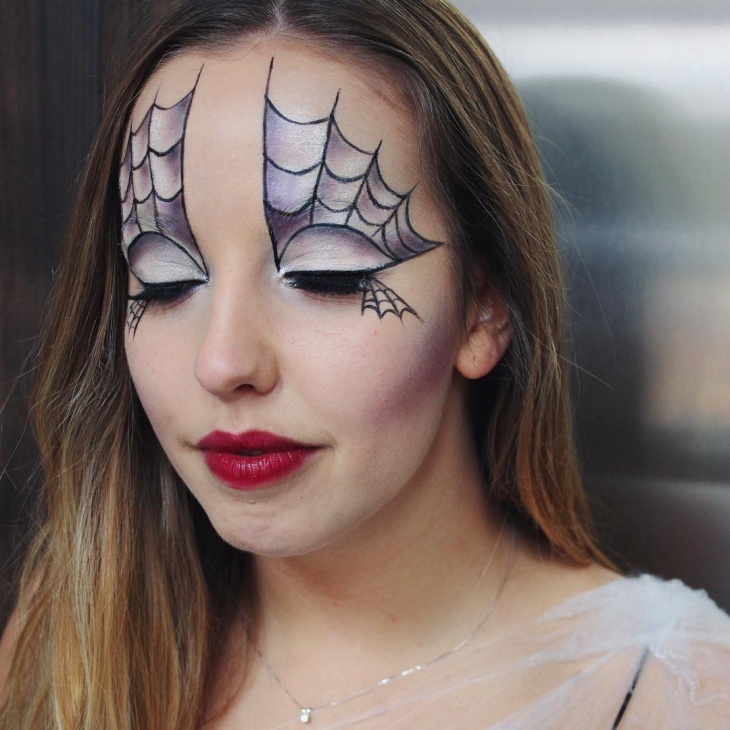 The spider web makeup for the eyes is really catching up for thematic party style dressing.Your eyes can get really dramatic with these eye makeup designs. You can say hello to Halloween and celebrate the Oktoberfest looking gothic with just this minimalistic make design element. Paint your face in any color and apply the motif of this makeup design on your eyelids. This is not a regular cat makeup tip on a regular day unless you are a part of the troupe. 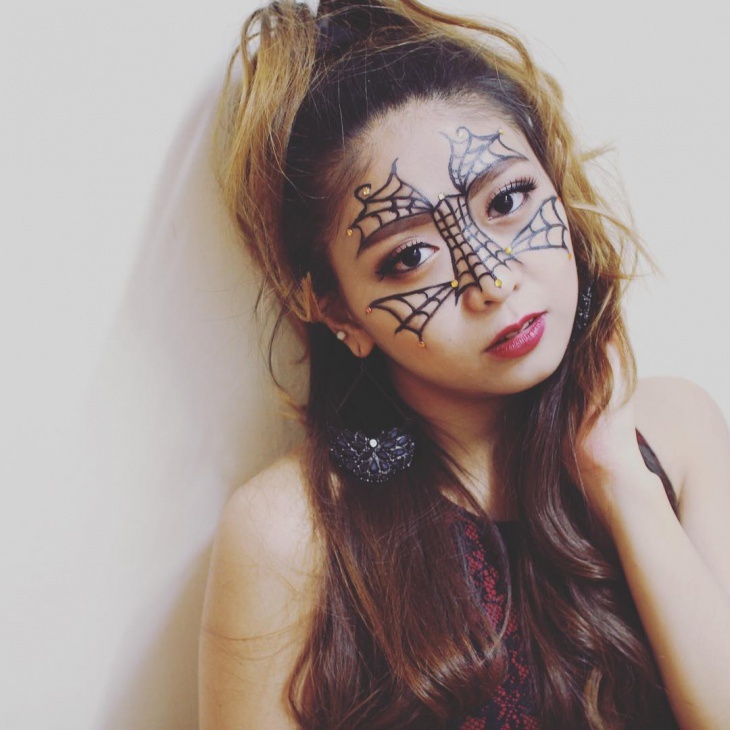 Only suitable for Halloween and costume parties, this eye web make-up has the motif of the spider web spread across the eyes, extending to the forehead. 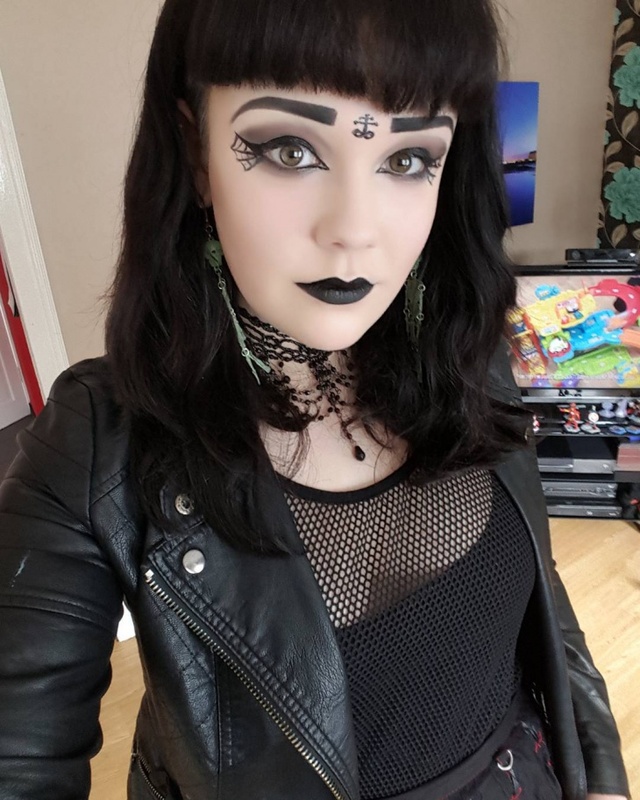 Applied on a regular foundation in black color, this creates enough drama. 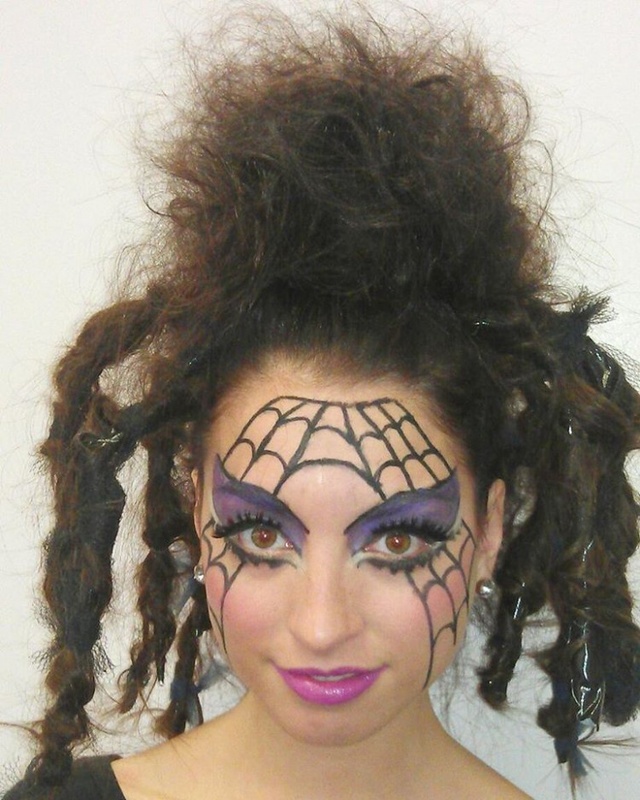 Spread over the eyes and nose, the spider web makes up motif looks like black nets placed on the face. This gives a very gothic look to the entire visage. 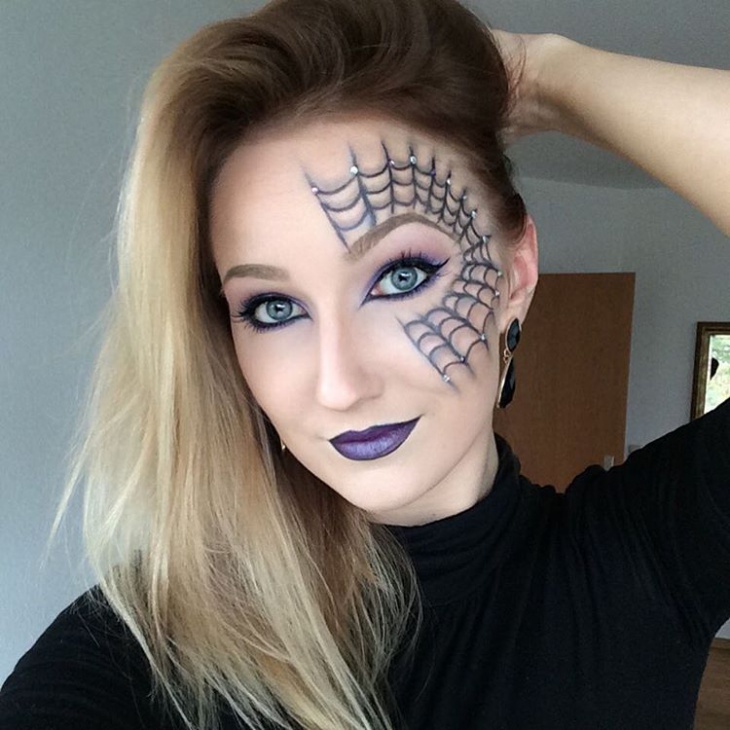 Wear corsets and high boots along with this kind of artistry of makeup. 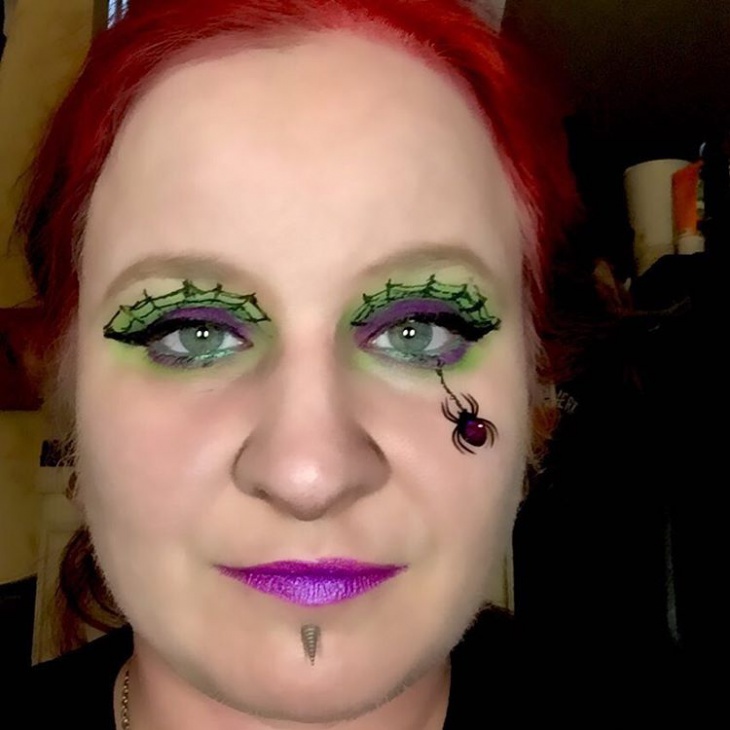 A simple makeup for the eyes, painted only on one corner of the eye, looks subtly gothic. You can wear this makeup to college or any informal event. It looks simple enough to be carried to any party. 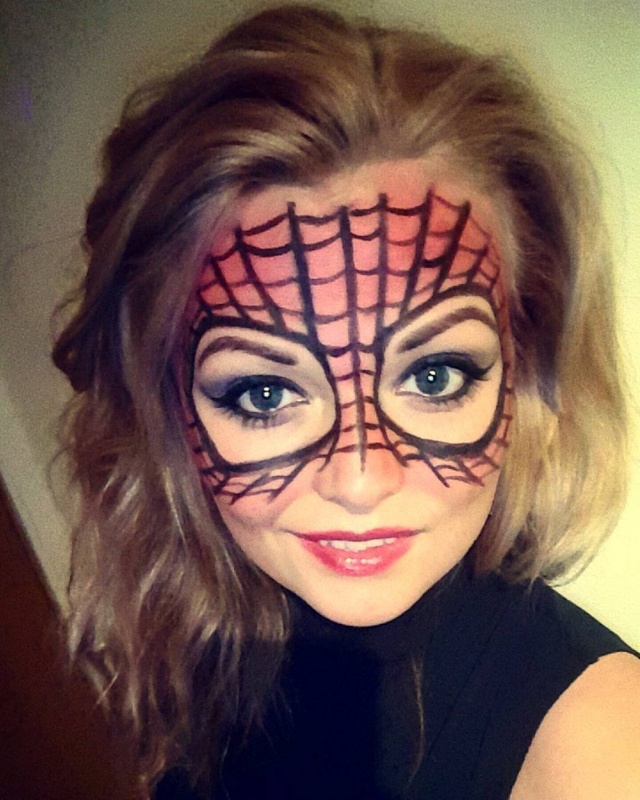 Most of the spider web makeup designs are suitable for teen girls only. This is a funny makeup theme where eyebrows are painted in skin and peach color and so are the lower eyelids. 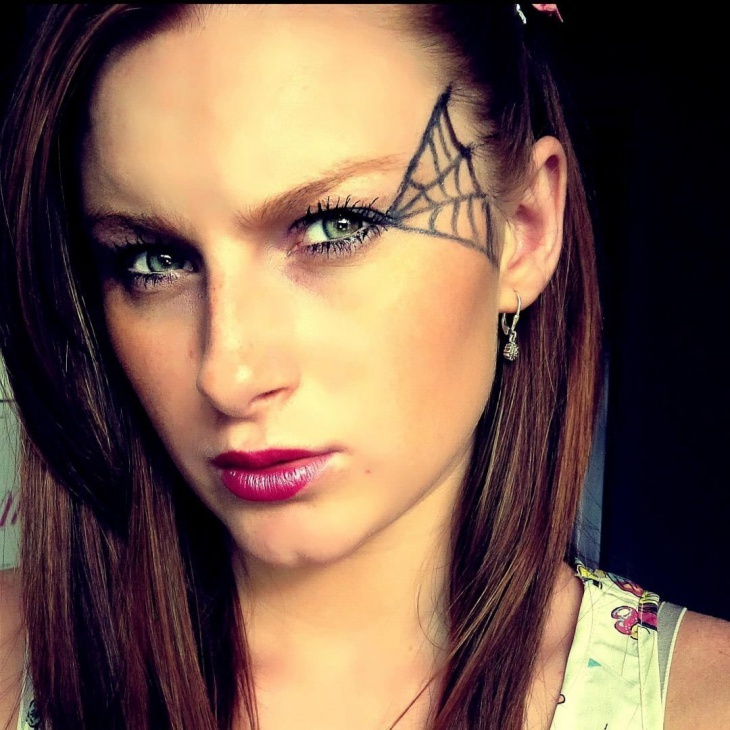 Young girls who love to experiment with funky makeup can try this theme of makeup for any informal occasion. 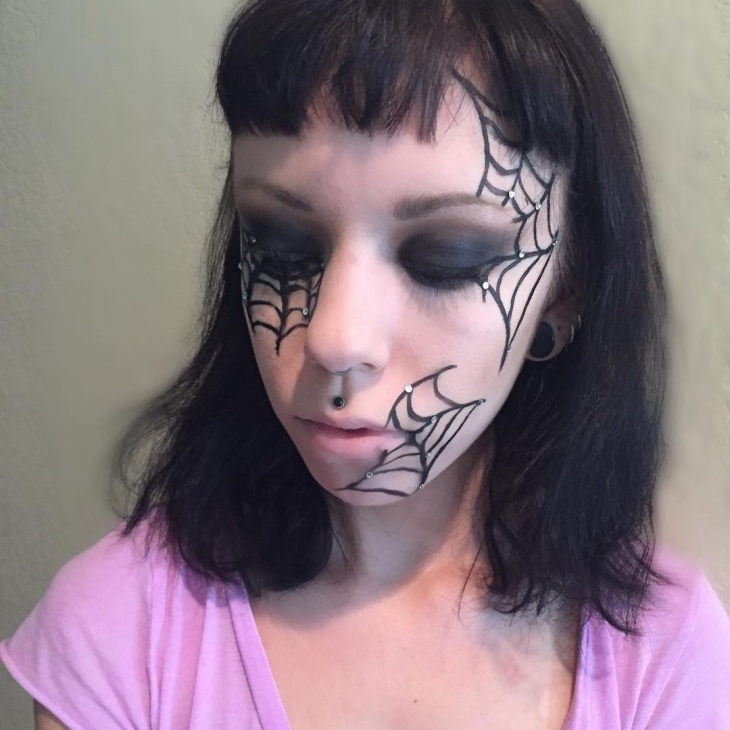 This is a dramatic, gothic makeup with spider webs drawn on the side of both the eyes. 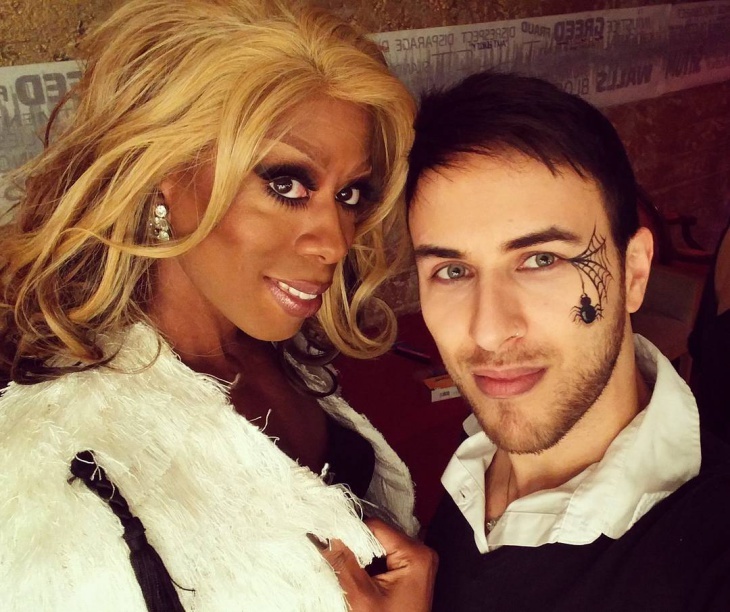 Wear leather jackets and pants, boots, and a black tee with this makeup. Wear a bright red lip shade and keep the hair black in color to get a true gothic look. An interesting motif for the eyelids applied on top of the purple eye shadow, gives a highly striking look. Those who can carry loud makeup with ostentatious colors well can wear this makeup. 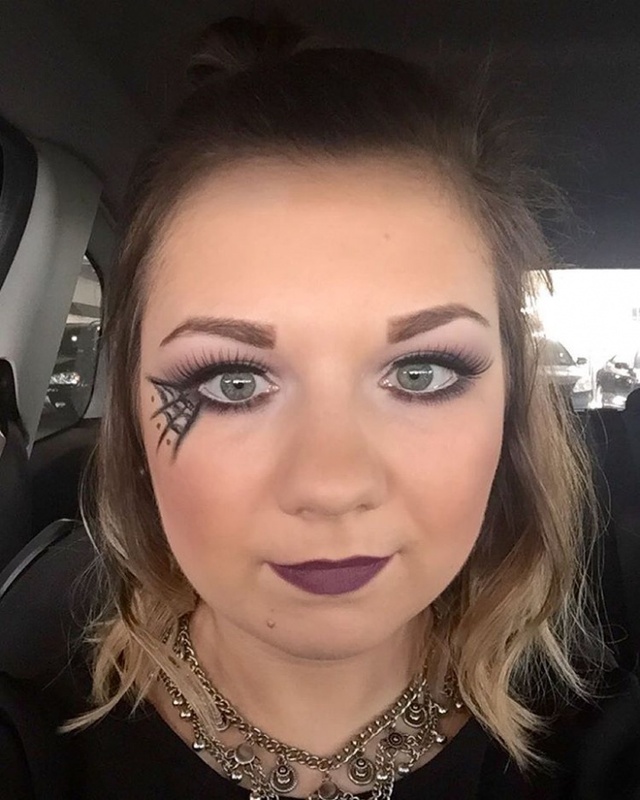 This scarecrow makeup is good for a gothic event. On a normal layer of foundation and lipstick, you can apply this makeup on the sides of the eye. 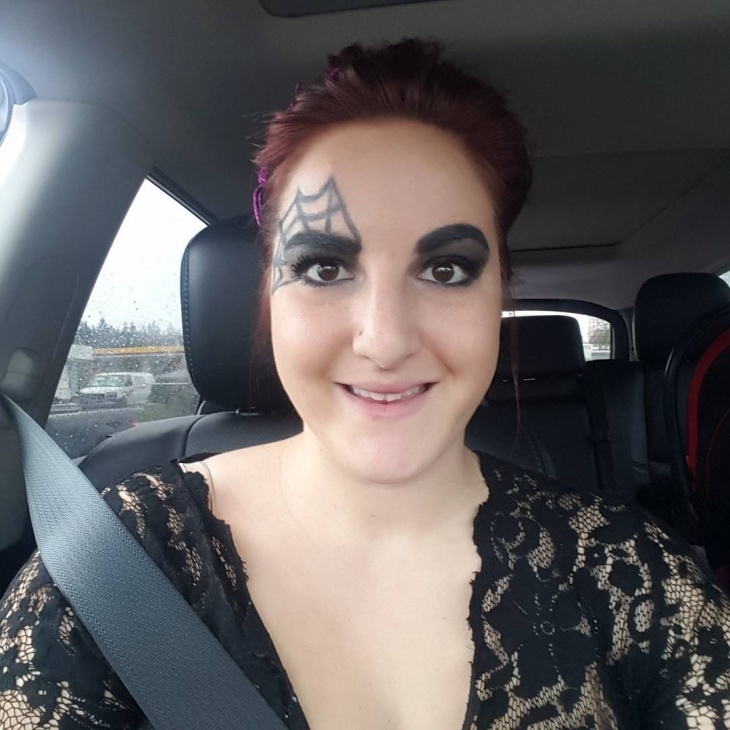 A long spider cobweb motif in a triangular shape that extends to the temples looks good on Emo girls. Make sure you don’t wear flip-flops with this attire. Go boots with this makeup. 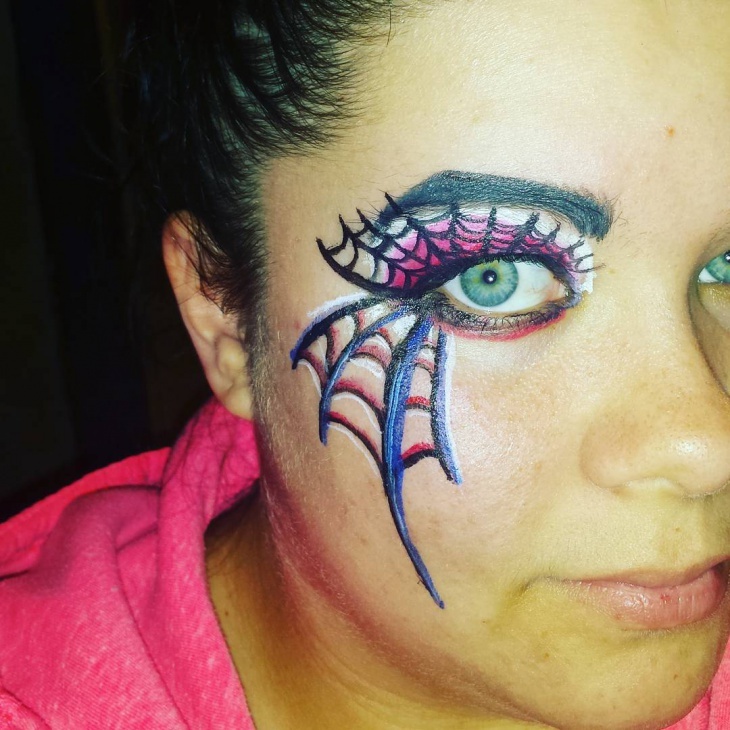 This spider web design is done on the eyes and extends to the cheek bone. Applied on top of a hot pink shade of eye shadow, this motif of layered eye makeup design is catching up with teens. 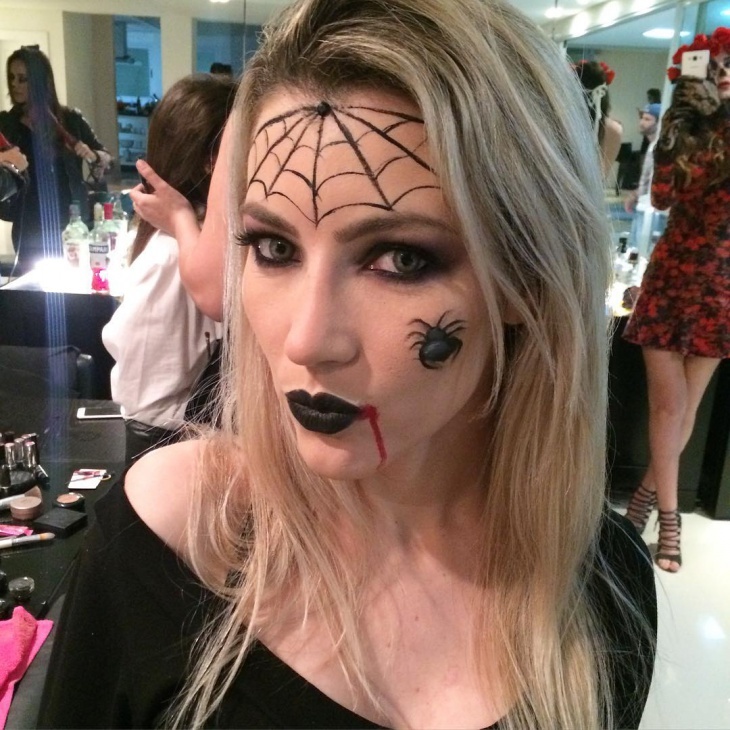 You can also use dramatic contact lenses along with this makeup. An elegant and an elaborate motif applied on only one of the eyelids and can be used for everyday makeup. Applied on a regular foundation and a dark purple lipstick, if you regularly dress in gothic style, you can use this makeup trick. 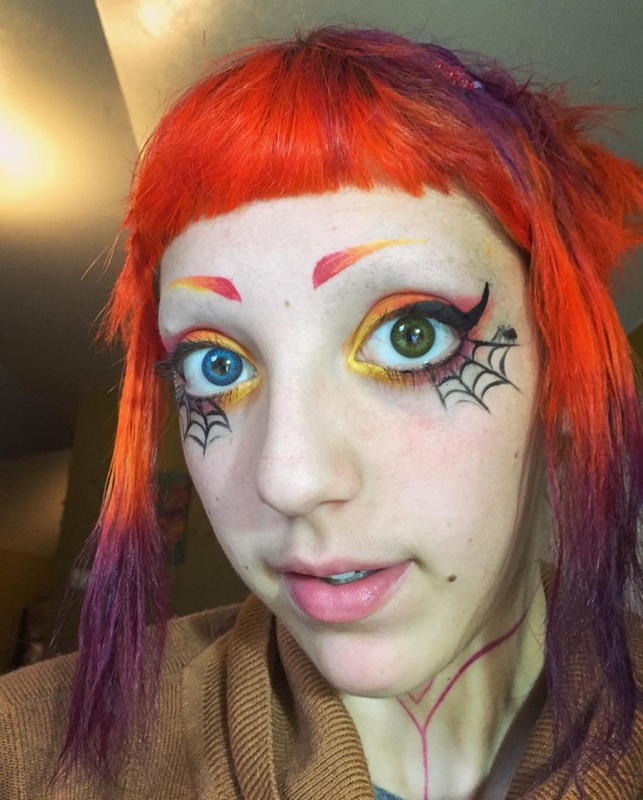 Whatever be the theme, teen girls can use these techniques for the prom makeup nights. Metallic jewelry, spikes, eye spider web makeup, darkest shades of lipstick on a pearly white shade of foundation is gothic. Though it covers only a niche people, it always remains to be a head turner.